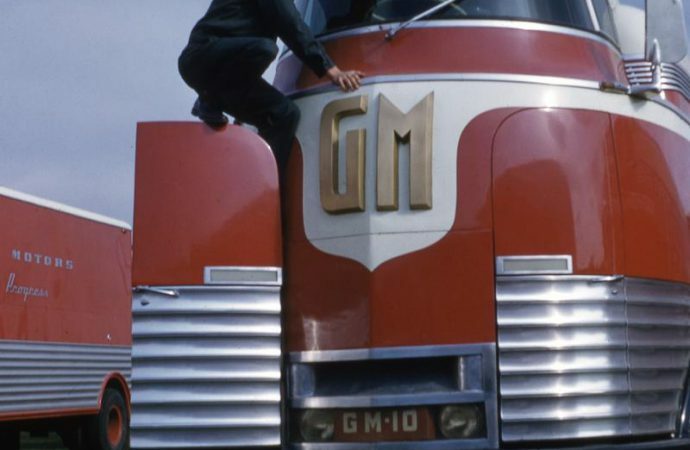 General Motors Futurliners, those big, red, bus-sized display stages riding on eight wheels, have been much in the news lately. General Motors Futurliners, those big, red, bus-sized display stages riding on eight wheels, have been much in the news lately. There was the one displayed at the SEMA Show in October after its recent restoration at Kindig-it Design. There was the one Ron Pratte sold last weekend at Barrett-Jackson to raise $4 million for the Armed Forces Foundation. And now yet another Futurliner has become the first truck to become part of the National Historic Vehicle Register. Installation of Futureliner No. 10 was announced Thursday by the Historic Vehicle Association in Washington, D.C., in conjunction with the 75th anniversary of the Futurliners’ first visit to the nation’s capital and the annual Washington Auto Show. 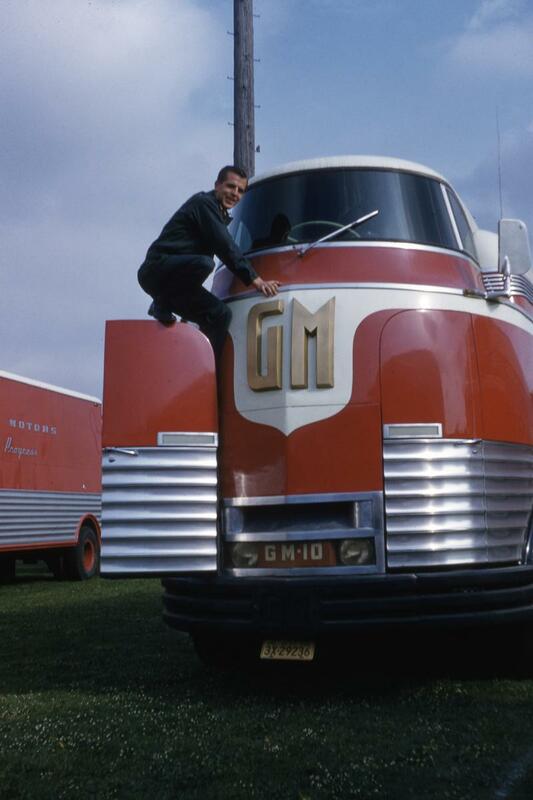 Displayed with the Futurliner at the auto show are two 1950s GM Motorama concept cars. 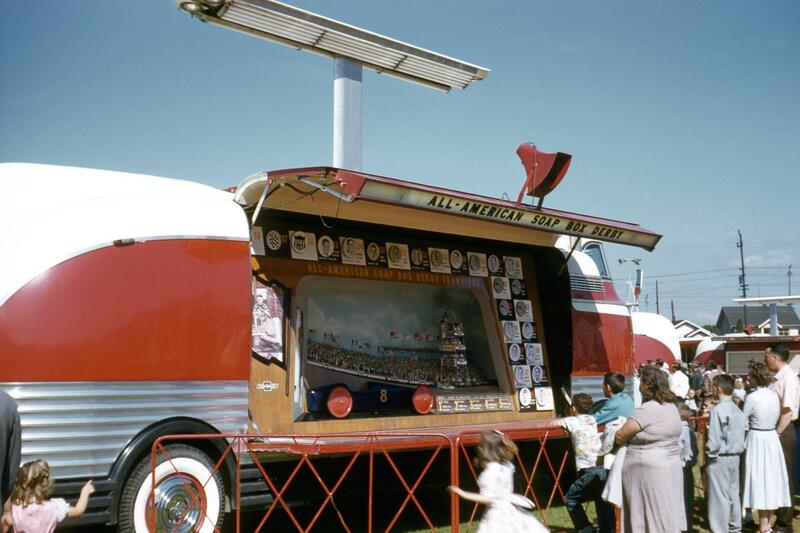 The tour was revamped in 1940 with a dozen new Futurliners that visited 250 cities where more than 12 million people saw the futuristic marvels carried inside the 33-foot, 30,000-pound vehicles. 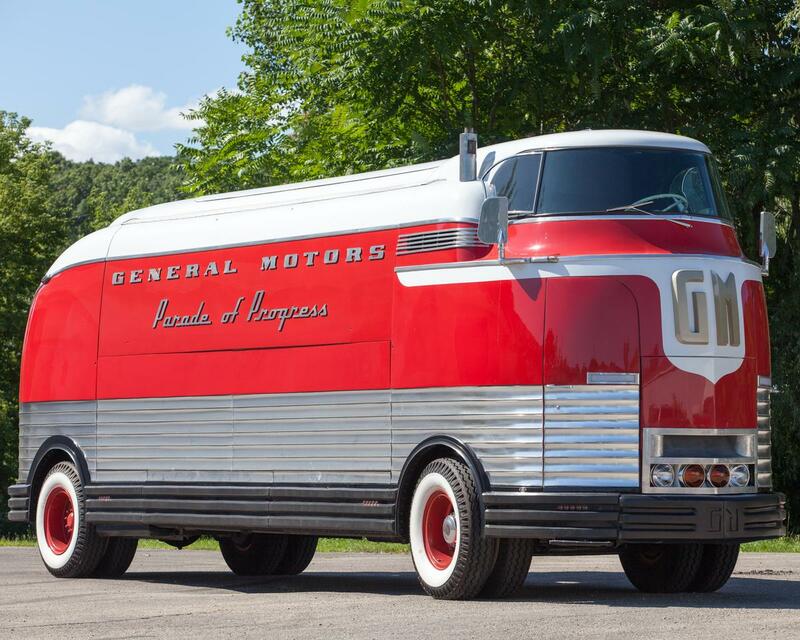 “As the first truck in the National Historic Vehicle Register, Futurliner No. 10 represents not only a unique engineering design, but also a look into our nation’s past and the cultural significance of the Parade of Progress,” Mark Gessler, president of the HVA, said in a news release, adding that the HVA was founded to preserve and encourage the appreciation of America’s automotive heritage. Futurliner No. 10 was donated to the National Automotive and Truck Museum of the United States (NATMUS) in Auburn, Indiana, in 1992 by Joe Bortz, the Chicago-area car collector known for salvaging so many concept cars that were discarded by Detroit automakers. In 1998, Don and Carol Mayton of Zeeland, Michigan, took on the restoration of Futurliner No. 10, which was done over an eight-year period with the help of more than two dozen volunteers, many of them former GM employees. Don Mayton is featured in a This Car Matters video about the Futurliner. “As part of the Historic American Engineering Record (the Historic Vehicle Register involves the engineering record and is archived in the Library of Congress), the Futurliner will represent the mid-Twentieth Century manifestation of America’s fascination with science, engineering and ‘progress’,” said Richard O’Connor, chief of heritage documentation programs for the National Park Service of the U.S. Department of the Interior. Displayed with Futurliner No. 10 were two 1950s GM Motorama concept cars, the 1953 Cadillac Le Mans and the 1954 Buick Wildcat II. The Motorama was another traveling GM exhibit that featured current cars and futuristic concept “dream” machines. The Le Mans was named for and inspired by Cadillac’s participation in the 1950 Le Mans 24-hour race in France, where Briggs Cunningham’s team entered a standard Cadillac sedan and a Cadillac-powered prototype, which finished 10th and 11th respectively in the round-the-clock race against purpose-built racing cars. The Le Mans was a two-seat convertible with a fiberglass body that pointed to new Cadillac designs and weighed 400 pounds less than the standard steel-bodied Cadillac convertible, with which the Le Mans shared its 250-horsepower, 331-cubic-inch V8 engine. The Le Mans on display with the Futurliner is the third one built and was sold to Washington Cadillac dealer Floyd Akers in 1955. The Wildcat II applied Buick styling themes over the chassis of a Chevrolet Corvette, though no production Buick had the Wildcat’s flying wing-style front fenders that left the front wheels largely exposed like a hot rod or racing car. The car had a 322-cubic-inch Buick “Nailhead” V8 topped by four carburetors. The car is owned by and usually is on display at the Sloan Museum in Flint, Michigan.